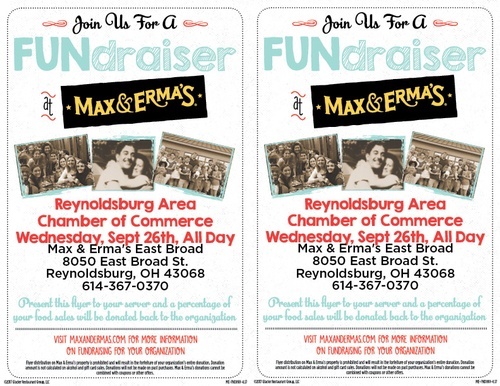 Join us for a FUNdraiser at Max & Erma's East Broad for the Reynoldsburg Area Chamber of Commerce. Present this flyer to your server and a percentage of your food sales will be donated back to the Chamber. Wednesday, September 26th - All Day!